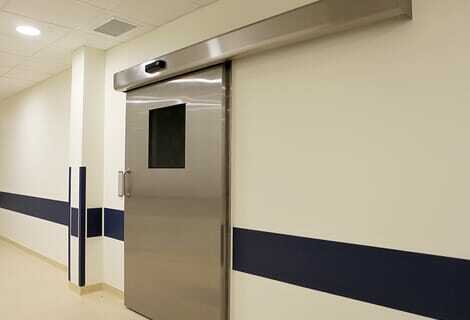 The Sanidor range of doors are precision-manufactured to suit the most demanding and rigorous of environments. 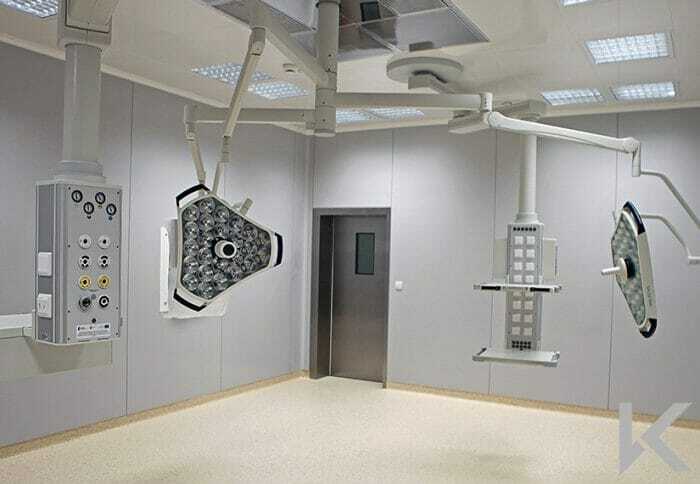 Constructed entirely from hygienic and acid-resistant materials such as stainless steel, they are designed to not only last a long time but to be user-friendly and look great at the same time. 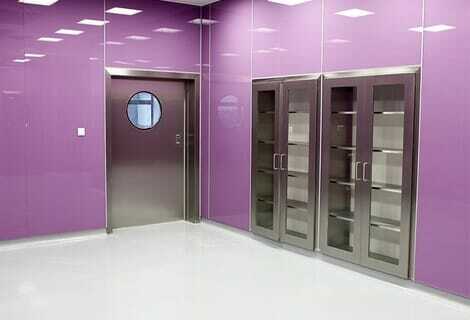 The doors are available in stainless steel finish as well as colour coated to most RAL colours. 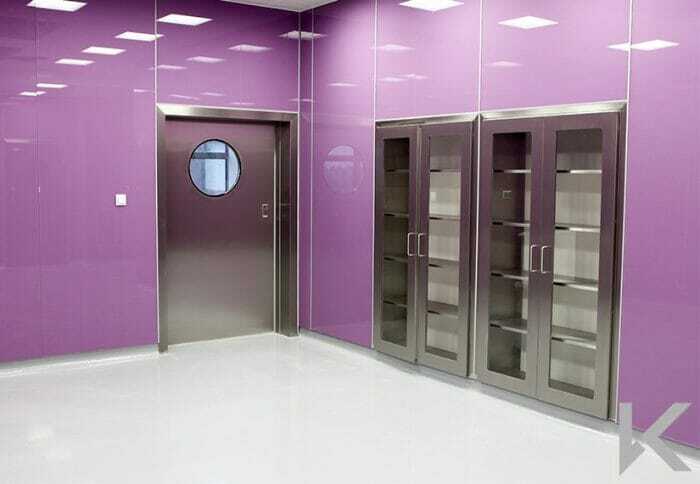 The doors can be complete with solid leaves or with a variety of flush glazed vision windows. 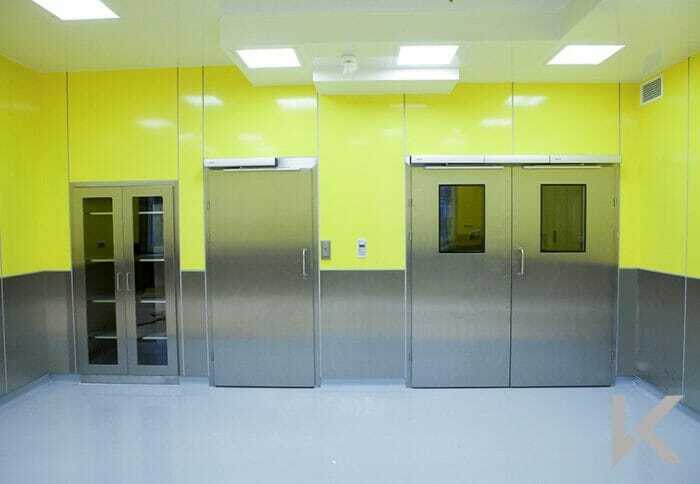 The Sanidor HD range of hinged hygiene doors is specially designed to offer maximum durability without compromising on hygiene performance. 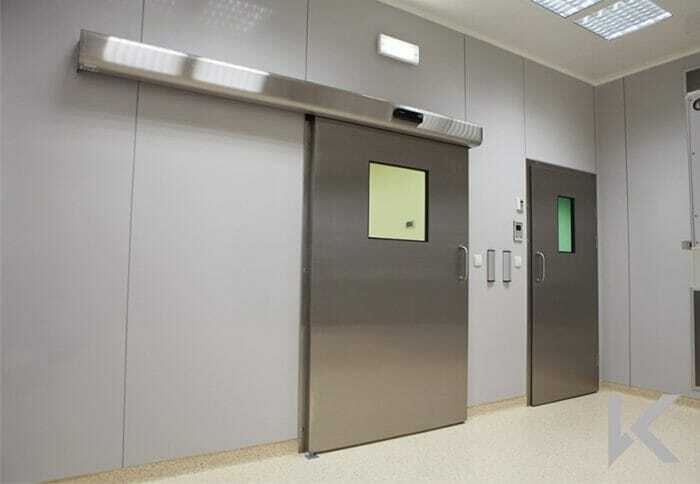 The doors are a great choice for a wide variety of internal and external applications in hygiene-critical areas. 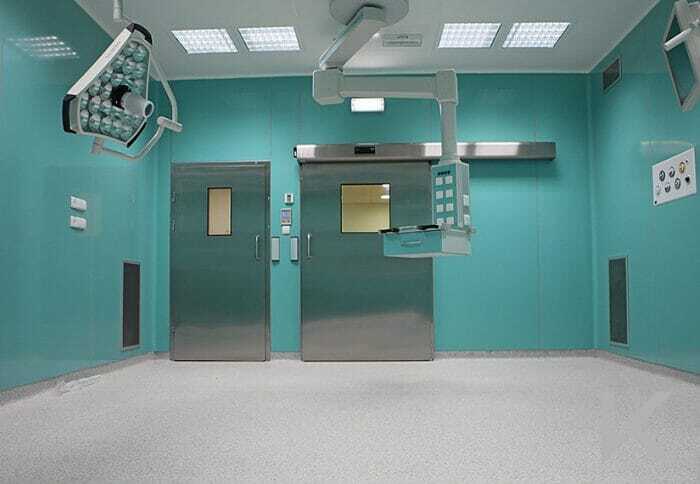 Available in both single and double leaf designs and with a variety of hygienic flush vision windows. The Sanidor SL range of sliding hygiene doors is an excellent choice for hygiene areas when hinged doors obstruct access or floorspace is at a premium. 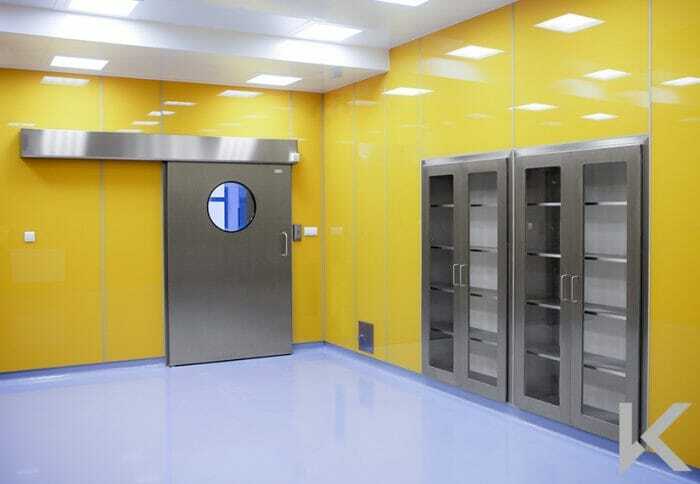 Sliding doors also make a great choice for larger openings or high-traffic routes. 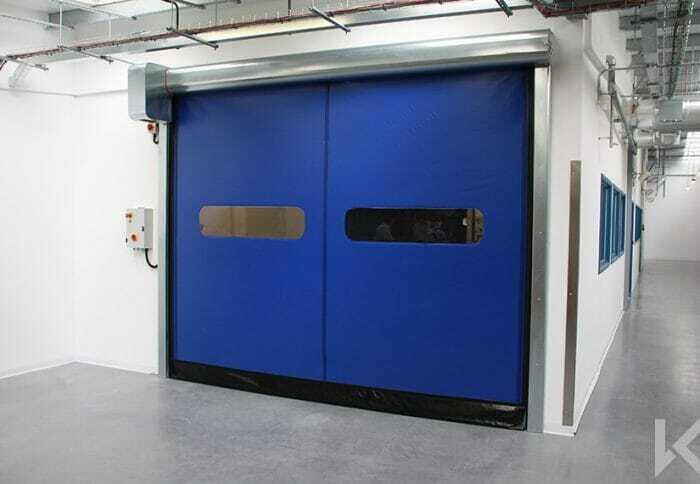 The doors are engineered to open effortlessly and are available both as manual and automated doorsets.